Celebrate your romance with this exceptional fashion pendant from the Diamond in The Sky Collection. 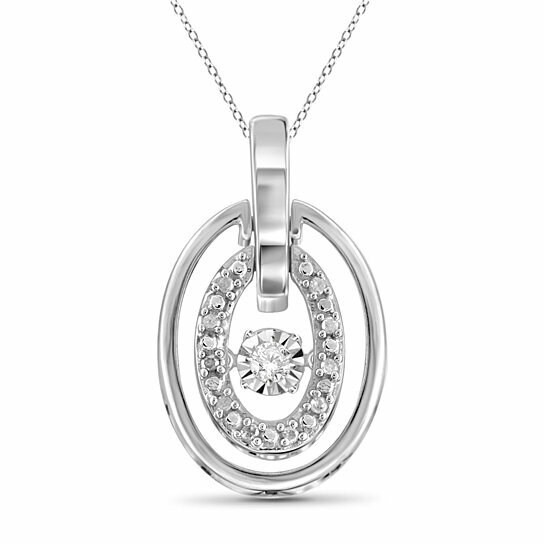 Expertly crafted in sterling silver, this gracefully pendant is partially outlined with shimmering round diamond accents. At the center of the symbol, a single diamond accent glistens in a unique setting that moves with every beat of her heart and every turn of her head. An eye-catching look she's certain to adore.